St. Patricks Day is often seen as a welcome seasonal turning point on many farms. It signals good growth and ground conditions as well as empty sheds as animals get to grass. However, the unsettled weather spoiled a lot of these plans. In many parts of the country, ground conditions are poor, and growth rate is still in the single figures. There is no doubt that the spring season is starting late, and compounding the problem is the increasingly compact nature of the calving season. That means more and more cows are eating larger volumes of feed in February and March. Based on the amount of feed that is being traded and transported around Ireland, some farms have realised that they have a shortage of feed. Others are hoping the weather will improve soon, but they still need to make provisions for the next four to six weeks. While grass supply will build up soon on-farm, it still needs time, and with rising stocking rates on farms, demand will match supply quickly. Measurement and planning are key to mitigating these concerns. Below, we explore the main areas that should be addressed. Measure your silage pit. As a simple rule, multiply the length, width and height in feet and divide by 50 for silage or by 45 for maize and whole crop. Counting the number of bales you have is the easy part. You should also weigh them, if you haven’t already used some, to determine the average weight, as they can vary from 500 to 1,000 kilograms. Work out the number of hay and straw bales you have, and exclude the number you need for bedding. Don’t forget to take into account the dry matter (DM) of the wet material, as you might have 1,000-kilogram bales, but they could contain more than 80 percent water. Multiply the number of animals by the number of days on feed. If you don’t have an amount on grass in the paddocks now, then it will take a month for this grass to build to a substantial level. If the weather settles down, then you will be eager to get to grass full time, but working out your farm cover and balancing with supplements is important. Be realistic about the days you require feed, and don’t forget to include milkers, along with all other stock and dry cows, especially any later calving cows. You should now know whether you need to adjust your current feed usage to spare some feed. Focus the best feed, as well as the concentrate, on the production-type animals in the herd, such as the milking cows and any finishing cattle. Animals like your young stock, dry cow and any other stock, while important, can be accommodated in other ways. Before you plan to buy feed, you need to look at the stock you have on-farm. The feed you are going to buy may be more expensive than your current feed, and therefore finishing those cull cows might become uneconomical, or because silage is now more expensive relative to concentrate, those forward stores that you had are now more economical to finish. Some of the finishers you currently have also might be close to finish and could be moved on. Cows are currently in early lactation and finishers are getting into the final straight, so it might be possible to get a response by feeding extra concentrate to these animals, as they are at their most responsive. With lower-than-required milk proteins on a lot of farms, we might be underfeeding concentrate at present. Four kilos of silage, at a cost of 16 cents (€40 per tonne) could be replaced with 1 kilogram of fresh concentrate in intake terms. Based on concentrate costing €270 per tonne, that would be an extra outlay of 11 cents per cow. Getting half a litre of milk would more than cover the cost of this. From a rumen health perspective, we need to take care of the cow, and overconsumption of concentrates in the absence of a total mixed ration (TMR) could be harmful. Ask a nutritionist if you are not sure about your diet, as the last thing you need is stomach upsets or acidosis. If ground conditions are reasonable, then zero grazing might be a possibility. Some contractors will bring loads of grass to the farm, costing €60 to €100 per load. Care must be taken to use this grass quickly to avoid it heating, and getting consistency in the supply is important, especially with fresh cows. Replacing silage with more or different silage is a natural step on most farms. Before you go searching the papers, remember that there are other alternatives, and the silage you get now might not be excellent quality for the stock you have (e.g., fresh cows and finishers). The reason for looking at an alternative can come down to price. Spending €30 on a bale of silage could end up costing you over €200 per tonne of DM, well above the price of alternatives like maize silage, beet, moist feeds, forage extender products and straights. On top of this, you are going to be getting better quality with these alternatives. Maize silage, beet and moist feed could be good-quality alternatives, but you need to look at them on a price basis based on dry matter, energy and protein. 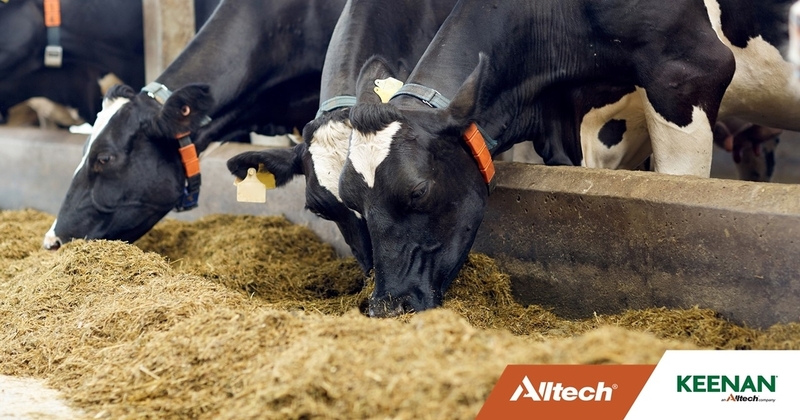 Proper pitting of this material is advised to avoid any wastage and deterioration, which would cause the buildup of mycotoxins in the feed, which would be harmful to the animal. Enquire with your co-op or merchant as to the availability of forage extenders (dry concentrates) or straights such as soya hulls. One tonne of these products will spare around 4 tonnes of silage, and because they are of a fibrous nature, there is a bulk effect from them. Beyond 2 to 3 kilograms, your cows will lose the fill effect of silage, but they might be a cheaper solution than increasing concentrate. Use them to replace the silage and not the concentrate. Straw is another popular feed to use, if you have it available. In the absence of silage, long fibre will make up the feed needed to keep the rumen healthy. To avoid sorting or gorging on concentrate, this is also best done through a TMR when the straw is processed to the correct length. It is also possible to add water to avoid sorting. Feeding straw to dry cows that will calve later will also be important to avoid over consumption of silage and increased body condition. Paying attention to the mineral level in the diet, especially when cows are entering the breeding season, is important. As you might be replacing silage with straw and concentrate with straights, you are losing a certain amount of minerals from the diet, and so you need to make it up by including extra minerals in the diet. Feed wastage is also another important, and sometimes forgotten, element. Looking at the manure heap on a lot of farms, you can see a lot of leftover silage or waste silage from the pit and bales. Having better pit management this coming year will solve the pit concerns, and a TMR system can reduce the weight loss at feed out, because you will give the cows exactly what they need every day. Reduce and increase amounts according to grass and weather. If you are finding yourself in a feed shortage situation on your farm and you would like some general advice, InTouch is opening its phone lines and making nutritionists available until Friday, April 13, 2018 to support farms. This is a no-obligation service, and they can be contacted on 059 910 1320 or by email at contactintouch@alltech.com.